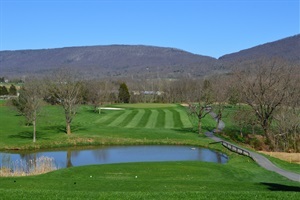 Play - 27 PGA holes amidst the picturesque Blue Ridge and Massanutten Mountains of Virginia. Beautifully maintained and uniquely arranged, Shenvalee Golf Resort hosts families and groups of all sizes from all areas of the United States and Canada. Play where Bobby Jones played! Discover - the rich history and activities of the historic Shenandoah Valley of Virginia. 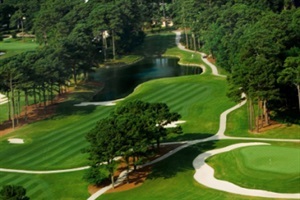 Shenvalee Golf Resort is centrally located to the area's best and most popular attractions. Relax - on an outdoor patio or deck, or sunbath by the swimming pool. Enjoy a quiet meal in Shenvalee Restaurant or while visiting with friends in the Sports Lounge. Shenvalee Golf Resort offers everything you need for a relaxing, enjoyable vacation.